Some Oral Cancer risk factors include smoking, poor diet, excessive alcohol consumption, HPV infection, sun exposure, and age (40+). Early detection increases the likelihood of successful treatment, and dental professionals are often the first to identify a potentially cancerous lesion. 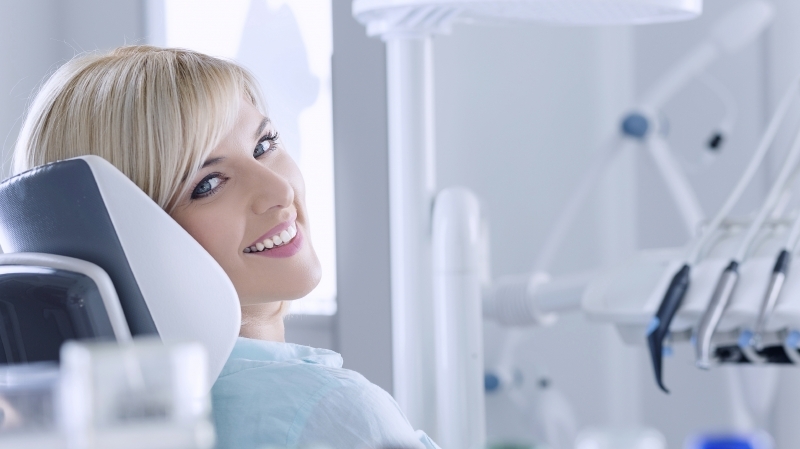 During your visit with us, a cancer screening is performed along with your dental examination. We also offer the VELscope™ device that further increases our ability to find cancerous lesions early. We can also discuss smoking cessation with you, to help eliminate one of the major risk factors of Oral Cancer. Please let us know if you are interested in making a VELscope exam a part of your next appointment. I have been in the dental field for over 10 years. My position in the office is busy but a rewarding one. I’m in charge of making sure all instruments are sterilized and ready for patient care. I keep the daily flow of the office going by ensuring ops are turned over and ready for patient care. I love that my job keeps me active and allows me to still interact with patients on a daily basis.